The more prosperous your business becomes, the more important it is that your building and property are secure. The same goes for your home. Lapses in security can lead to theft, vandalism, and serious damage to your assets. The focal point of your plan should be ensuring that the entry to your home and business is as protected as it can be. A great way to monitor the vehicles and pedestrians that enter your property is with an electric driveway gate. These systems can be operated remotely with the push of a button, allowing you to easily control the access. Installing an intercom or phone at your gate allows direct communication between your staff and any guests. There are a variety of different styles that will fit the needs of your setup, including overhead gates that roll or fold down from above, sliding gates, or swinging gates. Each has their own unique set of advantages, so make sure you research the available styles before making your decision. Remember that once you make the choice to have a new gate installed, it is important to keep it in excellent working condition through regular maintenance. Don't take shortcuts with easy fixes. You will be tempted to ignore slight damage or wear to your gate, but over time these small problems can snowball if they aren't attended to. 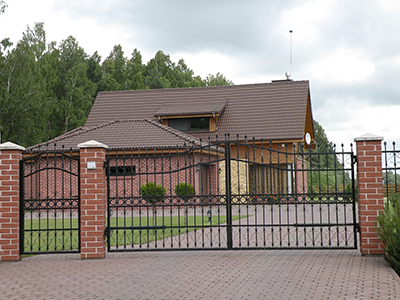 Keeping your gate well maintained by a professional firm will save you major hassle and money in the long run. 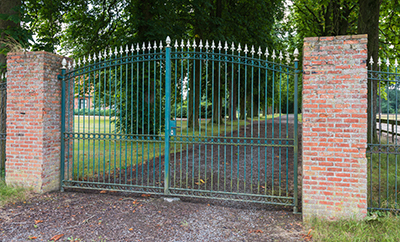 If you are looking to install or repair a driveway gate to safeguard your property, then Gate Repair Laguna Hills has the knowledge and experience needed to get the job done right. We can guide you towards setting up a system that will meet the specific requirements of your business. Our commercial gate services are second to none. Considering a roll up gate as a security measure for your building? Need to repair the swing gate that is stuck open in your parking garage? Are the wheels of your sliding gate jammed? We are a recognized authority in the field that can handle any problem. Our ever-growing pool of satisfied customers will tell you that we don't leave any issues unsolved. Call us today for consultation. Let us know what you are looking for and we will help you select the gate that meets your needs, budget and expectations.